John held the role of President and CEO of the CANDU Owners Group (COG) from 2006 to 2010. During his four years as President and CEO, he lead the Company to grow and become a highly respected provider of R&D, operating experience and highly leveraged products and services to CANDU operators worldwide. Prior to his role at COG, John held a number of key leadership positions at Ontario Power Generation (OPG). As Chief Nuclear Engineer & VP Engineering and Modifications he lead a team of over 1600 people to improve performance in the OPG Engineering program across the fleet. John led changes including establishment of the Conduct of Engineering Program and the Advanced Operations Overview for Managers. He introduced fundamental changes to enhance the quality and predictability of delivery of plant modifications and was instrumental in establishing a highly respected program for the recruitment and development of between 100 and 200 new engineers annually. He has continued to serve Canada and the Canadian Nuclear Program in roles with CSA and the IAEA. 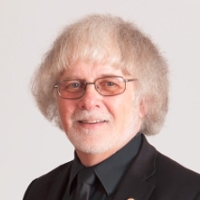 At CSA, John led the CSA Nuclear Strategic Steering Committee over the period of 2004 to 2015 at which time he was appointed to the CSA Policy Board and awarded the John Jenkins award for outstanding contribution to standards in Canada. He delivers leadership development programming for the nuclear industry including areas such as Safety Culture, leading high performing organizations, nuclear design and mentors leaders in the sector from Canada and abroad.